Tomorrow morning I participate in my first “real” CrossFit competition, the Spring Fling (assuming the Open doesn’t count). I am experiencing an uncharacteristically large amount of pre-competition jitters. So instead of going to bed I’m going to stay up and write a blog post about everything I’m worried about and how I don’t really need to be worried about it. Back when I was cycling, I knew how to rest, how to fuel, and how to recover for bike races. 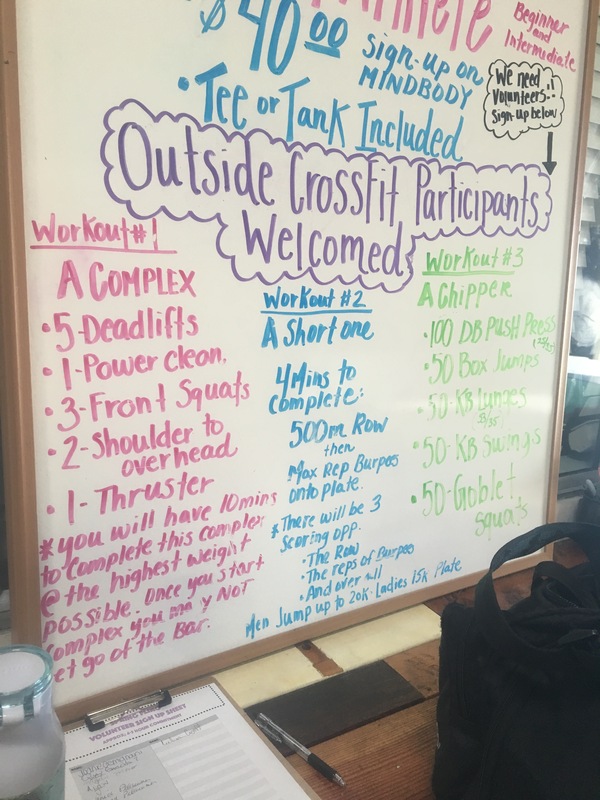 I have no idea what I’m supposed to do for a CrossFit competition. I went to class on Friday because the WOD sounded super fun, and now I’m sore and wondering if that was a bad idea? But there were other people there that were doing lifts and stuff, should I have been practicing clean and jerks? How do I know what weight to start with when I don’t know my max effort yet? Should I bring food? What kind of food? What do I do if I’m halfway through the workout and my hamstring is about to snap and I want to quit to avoid injury? Is this something I should do, or should I “push through” in a competition setting? At my first bike race, I had NO IDEA what I was doing. But I did have Hulk there, telling me when to warm up and for how long, when to eat a bar, and what to do after the race so my legs didn’t crap out on me. And even then I was still learning how to race and compete. This is no different. It’s my first competition, and this is my opportunity on learning as much as I can about how not to go into a CrossFit competition. I will do my best with what I know now, and I’ll learn the rest tomorrow. And the first lesson I have discovered is maybe I should have talked to one of my coaches about the questions about preparation and fueling, oh, I don’t know, maybe a little bit before the night before the competition? Lesson learned. Okay first of all, do you know how many races and triathlons I came in dead last? A lot. Like, I lost count of how many. Did I care? Okay, yeah, a little bit, but I knew I lost fair and square, so it really wasn’t a big deal. Other women were fitter than me and put more time and effort into training, good for them and they clearly bested me. I’m out there to have fun and see what I can do. I’ve only been doing CrossFit for five months, so just competing is an accomplishment in itself. Everyone starts from somewhere. If I can’t do a numbered list, how am I supposed to count my reps? My hamstrings have really been bothering me this week. I noticed it a couple weeks ago, and I know it’s due to me sitting too much and not activating all of my legs enough. I started doing the PT exercises I was prescribed a while ago when I was going in to physical therapy for my hamstring issues, but I haven’t been consistent enough for it to make a difference yet. During the WOD Friday I was in a lot of pain, just hoping I could finish. I did all of my PT and stretches this weekend, and I’m hoping it’s enough to get me through Sunday. But if not, I’ll start to really suffer during the chipper, with all of the hip action from the kettlebell work. I’m worried about getting injured and being out for weeks all because of one workout I was too stubborn to throw in the towel when things got dangerous. All I can do with this one is listen to my body and be honest. If I really think things are bad, I need to stop. I know I’ll get support from my coaches for quitting before things get worse. On the flip side, I need to not use the fear as an excuse for pushing it if I can do it. If things are hard just because, duh, this is hard, then I need to get over it and do the work. Be as prepared and informed as I can be, and use the best judgement I can in the moment. Okay, I’m done ranting. Thanks for listening, and go make it a great day! I really hope your comp went well… looking forward to hearing about it!